Submitted by Simon Coleman on Sun, 5 Apr 2015 - 15:46. 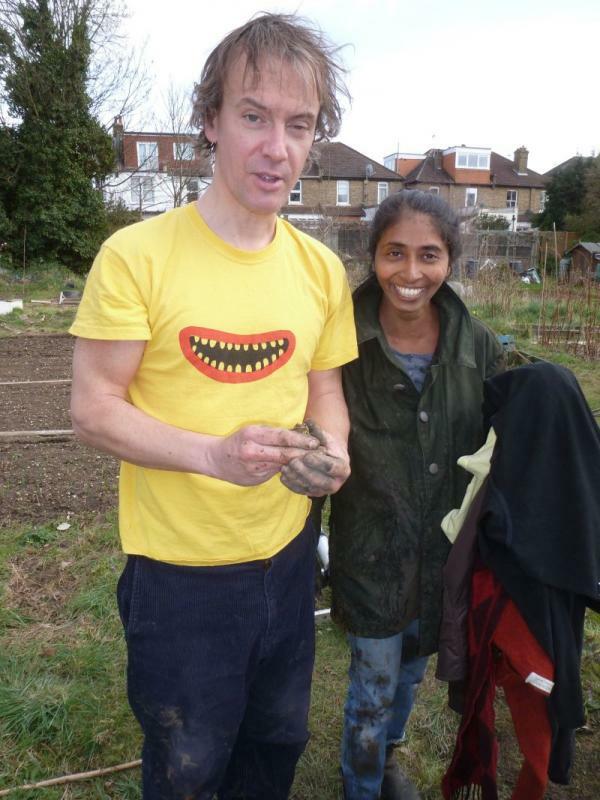 This plot 213 has had a village style pump installed as a part of the Allotment pump project. 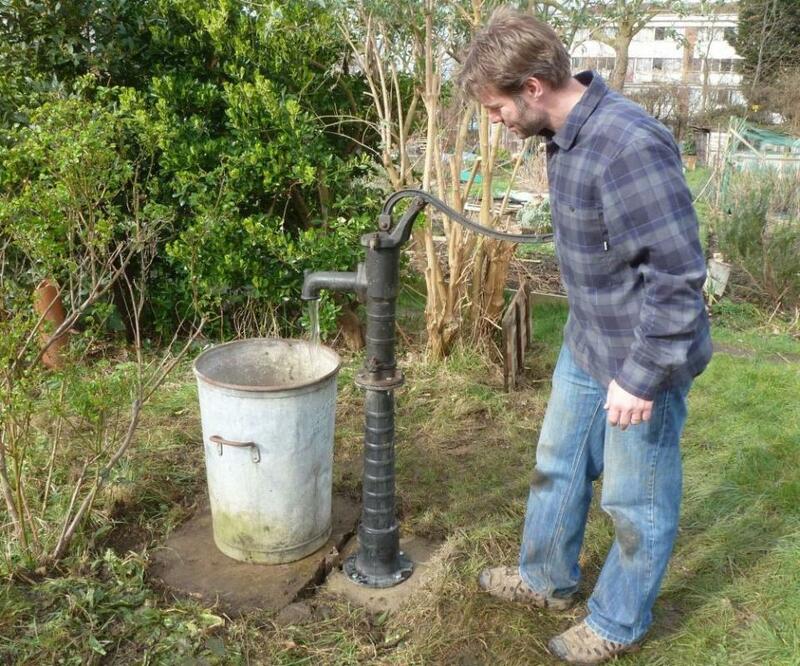 The pump is now working and can be used by any plot holder as a water source. All water pumps need a brisk pumping action, a weak pushing of the handle will not be enough to maintain a good water flow. The pump may need priming to get it to work. To prime the pump you need to pour water into it. There is a glass bottle by the water barrel, fill the bottle and pour the water into the top of the pump where there is a little slot. Once the water pours out of the spout then there is enough water in the cylinder. Pump briskly a few times then you should feel the pressure change from the suction of the water in the well. This pump does not always need priming, i would recommend trying the pump first and if it feels very light then there is no water in the cylinder and therefore you will need to follow the priming process. Installation work on this pump started in April 2105.The first thing i did was remove the very heavy concrete slab on top of the plot. It was then that i discovered that the well was half full of rubbish. 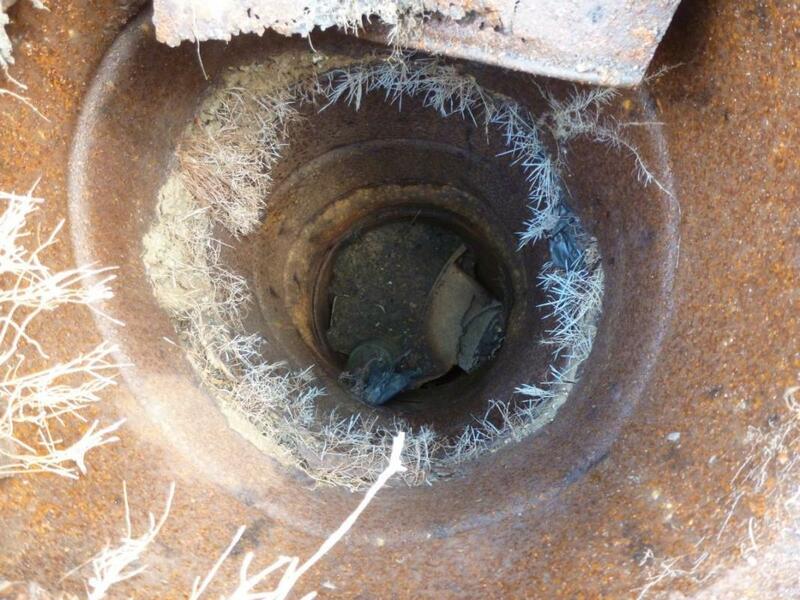 The image right show the top of the well with the metal barrel construction damaged or bend over on purpose. 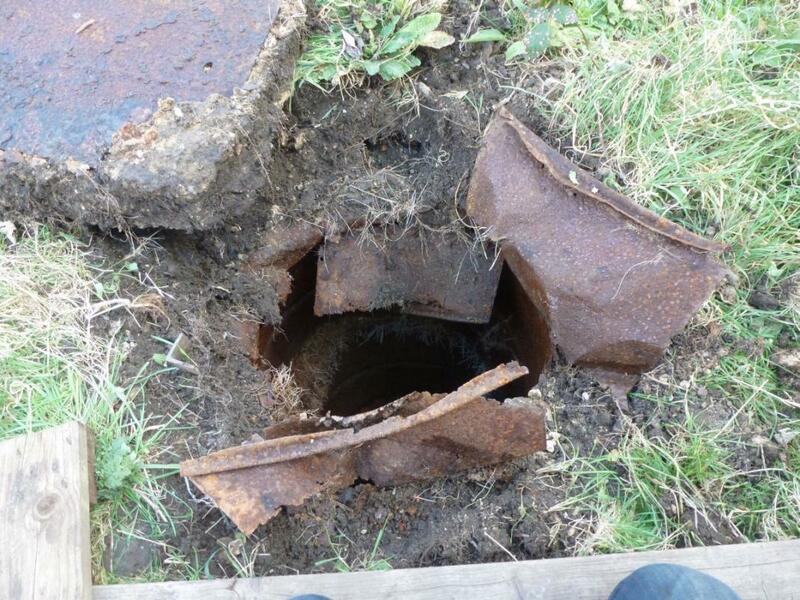 Once i looked down into the well i could see a roll of carpet, soil and plastic flower pots. I have a very long pole with a hook and cup on either end. I was joined by plot holder Paul McConnell and we "fished out" all the items we were able to see which was actually a great achievement with a butchers hook on a pole. 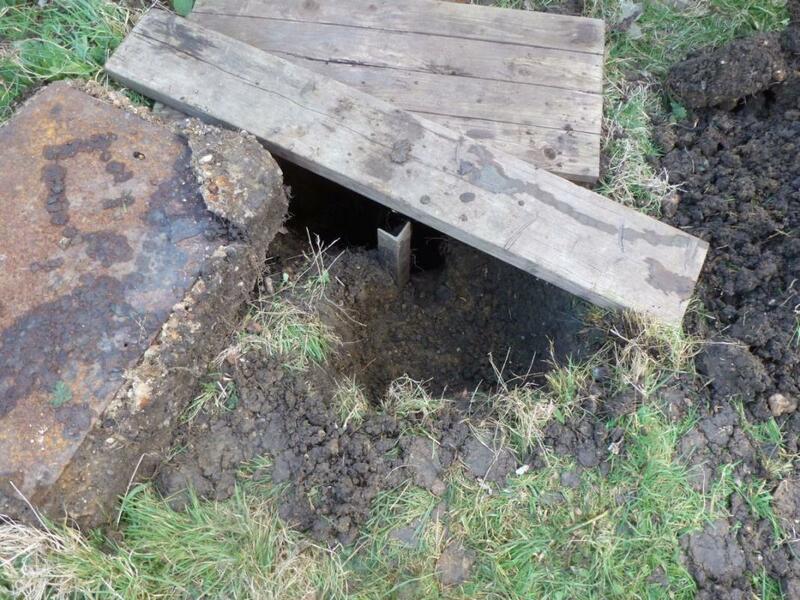 The rubbish that came out of the out of the well can be seen on the image right. It included Fairy liquid bottles, black plastic bags plastic flower pots. The well top edge was reconstructed with the metal bin that was found in the well and clay was used packed the metal bin to create a seal top. 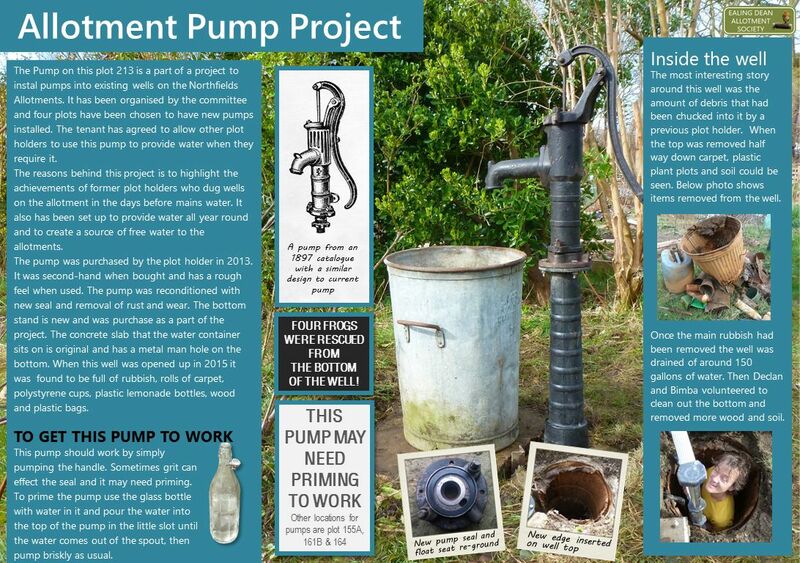 The village style pump was installed on a concrete base with a 32mm plastic pipe inlet. 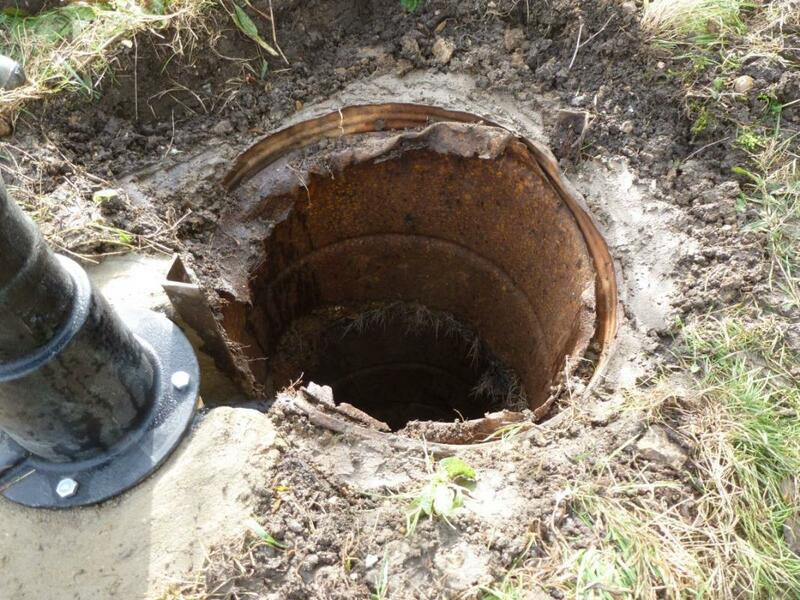 The base was set to the side of the well top so that the cncrete top could be left in its origin al state. It is important to get the pump stand level to avoid the float getting mis-aligned. 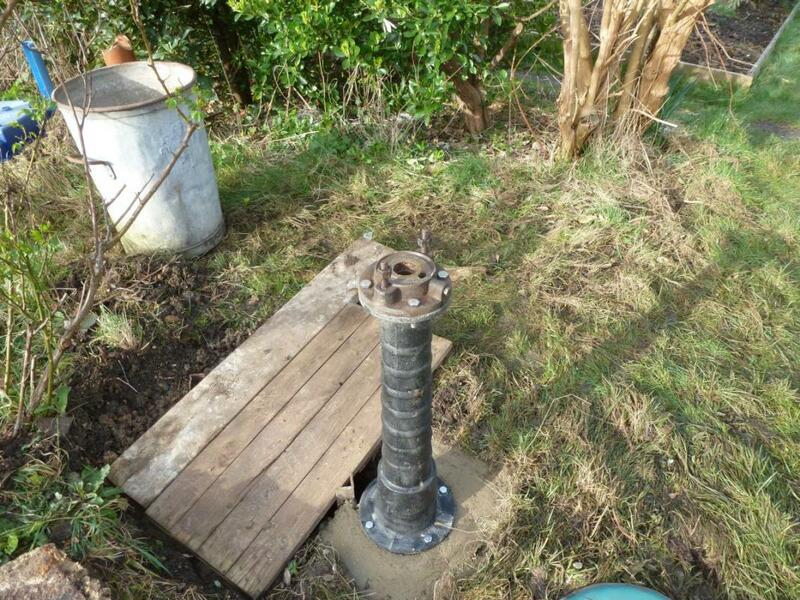 The pump that was bought by nick the plot holder was reconditioned with new seals and rusted areas cleaned up. 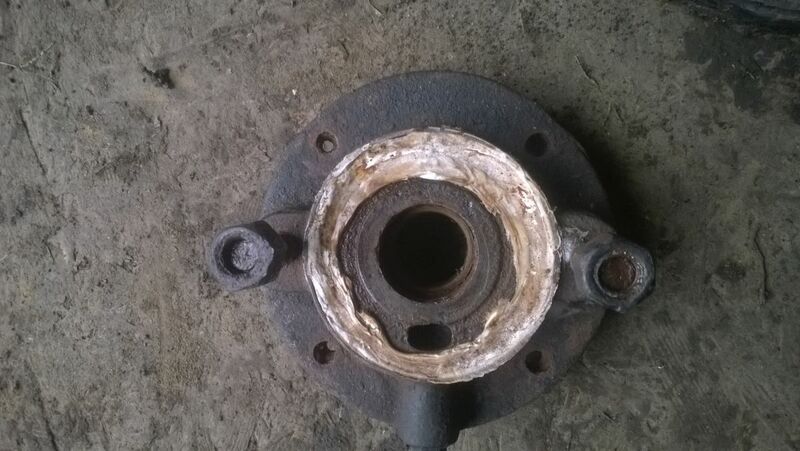 In the image right the base section was sealed with white mastic and the valve end was heavily rusted. 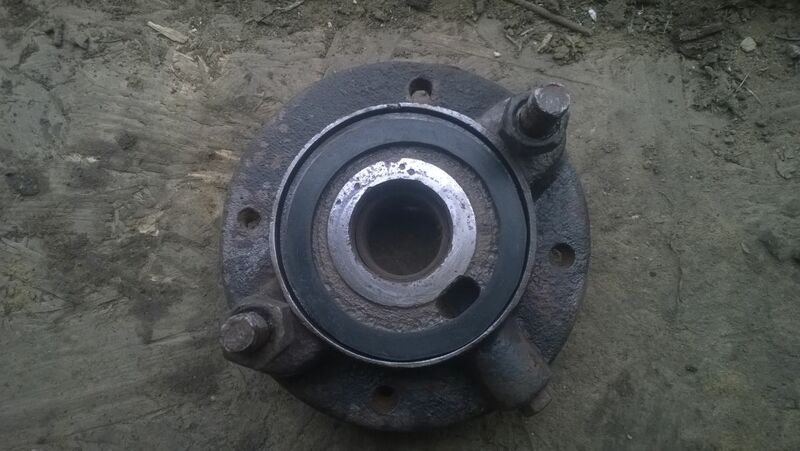 The image far right had a new rubber seal and the valve edge re ground. After the well was drained we removed more rubbish from the bottom of the well. 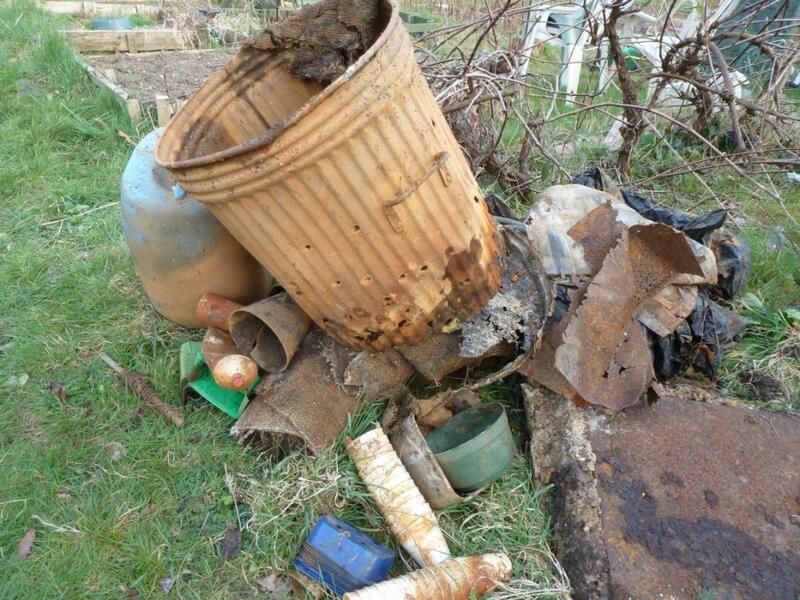 Two plot holders agreed go go down the well and remove these items of wood and plastic flower pots. Dec and Bimba found a frog in the bottom of the well which they were able to save, we actually had got out three frogs in the well. 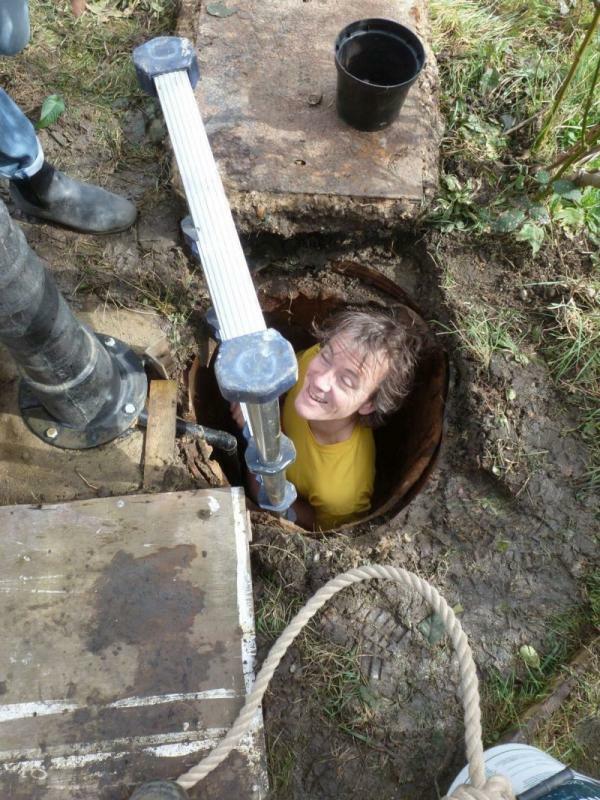 The well is very tight and it needed a small person to be able to get the rubbish out. The image far right shows Dec and Bimba and a little frog the saved from the well!